Fifty years ago this week the world stood on the brink of nuclear war — perhaps the closest we ever came to World War III — as the U.S. and Soviet Union stared each other down over Soviet nuclear missiles in Cuba. 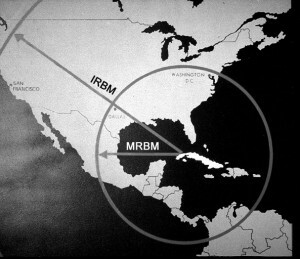 History has dubbed it the “Cuban missile crisis.” And history has duly recorded that it ended on October 28th, 1962, when Soviet Premier Nikita Khrushchev agreed to remove the missiles from Cuba. But it didn’t end there, says historian David Coleman. Indeed, as he lays out in his new book “The Fourteenth Day,” the aftermath of the missile crisis hung over the White House for several more months.